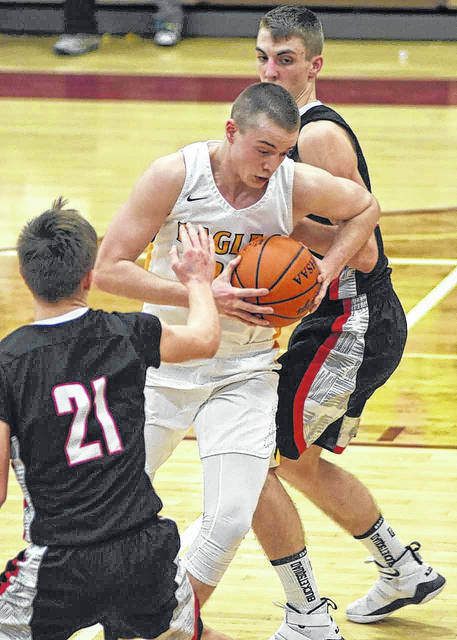 GALION — The winter basketball season has officially ended for the Northern-10 Athletic Conference. Postseason play continued thanks to deep runs by the Buckeye Central Buckettes, the Carey Blue Devils and the Mohawk Warriors in their respective tournaments. Buckeye Central advanced to the Division IV state semifinals before being ousted by Ottoville. Carey lost in their Division III regional semis to Columbus Africentric and Mohawk was defeated by Pandora-Gilboa in their DIV regional semi matchup. With the conclusion of the season comes the announcement of the all-conference honors for both the boys and girls. The squads from Colonel Crawford were well represented with five total student-athletes earning honors. For the boys, senior Harley Shaum and sophomore Cameron McCreary would be named to the First Team N-10 squad while senior Brody Martin took Second Team honors. Sophomore Jordan Fenner would be named to the Honorable Mention squad for the 2017-2018 campaign. As for the Lady Eagles, junior Danielle Horsley netted an Honorable Mention nod.